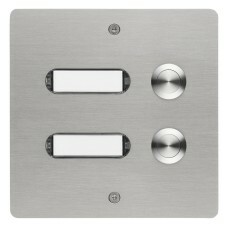 3 Bell push buttons stainless steels, 3 name plates, optional LED lightning included. Installation with installation bolts fixed on the back (Plugs included ). 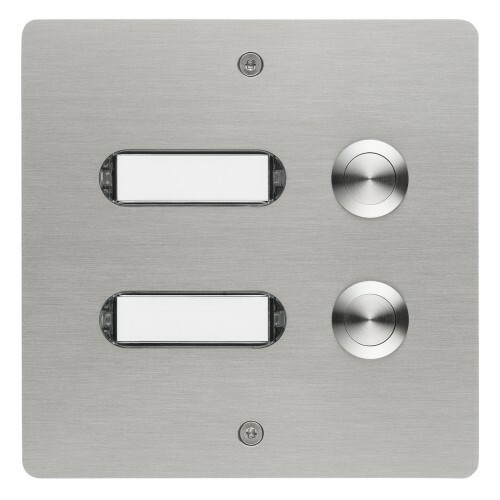 The plugs must be fixed into the wall, then the two installation bolts are pressed into the plugs, so that the bell panel is fixed.